AFC Rushden & Diamonds' home game with Aylesbury today (Saturday) has been postponed. An inspection was carried out at Hayden Road this morning ahead of the Evo-Stik South League East clash but the pitch was deemed to be unplayable. Diamonds, who are top of the table, will be hoping to be back in action on Tuesday night when they are due to entertain fellow high-fliers Hayes & Yeading United. 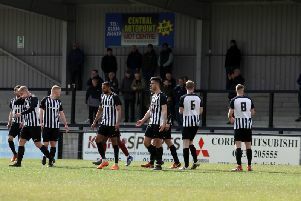 There's better news for Kettering Town and Corby Town, however, with both clubs set to play for the first time in three weeks this afternoon. The Poppies travel to Stratford Town in the Evo-Stik South League Premier while the Steelmen entertain Gresley FC at Steel Park. Both matches kick-off at 3pm.